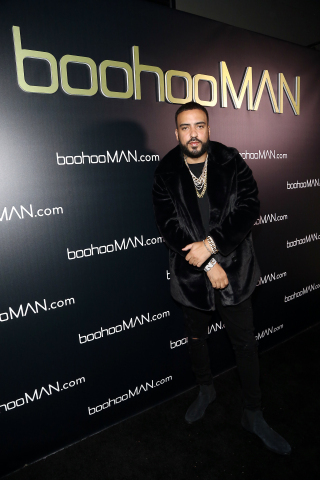 This evening, international online retailer, boohooMAN.com, celebrated the launch of their collaboration with French Montana at an exclusive launch party in Los Angeles at Poppy for press, influencers and celebrities. Taking note from the product aesthetic and French’s very own style, the event served as the ultimate VIP experience. Notable attendees included French Montana, Christina Milian, Stefflon Don and more! The boohooMAN x French Montana collection takes inspiration from Mediterranean and Moroccan culture, while bold tropical and leopard prints, colour variances and summer cuts mould the range into perfect spring summer attire. The product ranges from $14 - $85 (£10 - £60), staying true to the brand’s ongoing values of creating affordable, trend led fashion for everyone - available online starting today. boohooMAN.com continues to push boundaries and capitalize on opportunities in the influencer sphere to bridge the gap between product and their core customer. Since 2017, boohooMAN.com has executed successful campaigns and design partnerships with talent such as Quincy, Tyga and Rae Sremmurd. The brand frequently engages with millennials in unique capacities and continues to explore this avenue to generate engagement on both an international scale and regional level in order to stay on the pulse of their target consumer.